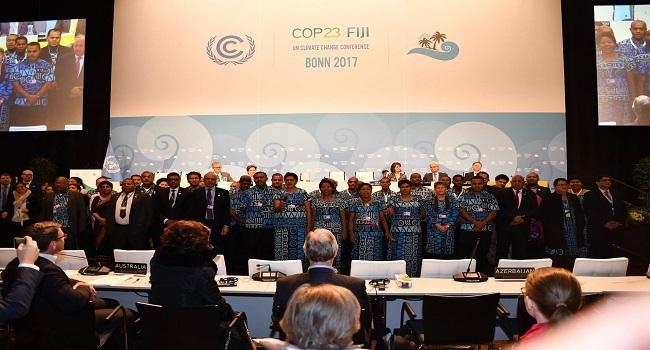 Prime Minister and COP23 President Voreqe Bainimarama has hailed the COP23 meeting in Bonn, Germany a success. The main agenda issues of the COP23 meet were endorsed, despite the several hours of negotiations. Bainimarama says there has been positive momentum in a number of areas and the task set out to be done has been achieved. UNFCCC Executive Secretary Patricia Espinosa says the conference has delivered a launch-pad that can take us to the next stage of higher ambition. She says it has also advanced the implementation guidelines of the Paris Agreement so that by 2018 it can truly support sustained international cooperation and national efforts to realize a more secure, prosperous and better world for all.